What is Samsung 300K Tool? Samsung 300K Tool is a small windows utility that allows you to enter into download mode of your Samsung device via USB without keys. It is not necessary to enable USB Debugging mode on your device. 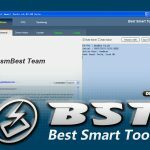 This tool detects your device automatically and reboot it into download mode for restore and flashing operations. The latest version of Samsung 300K Tool can be downloaded from the given link at the bottom. How To Use Samsung 300K Tool? Download Samsung 300K Tool latest version from the link given below. Run Samsung 300K Tool on your computer and connect your Samsung device to your PC VIA USB Cable. Done. 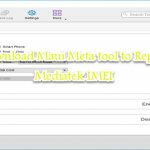 The tool detects your device automatically and reboot it into download mode. If your device not entered into download mode, it means that the tool does not support for your device. Note: This tool only support for Qualcomm, and Broadcom CPU based android devices.